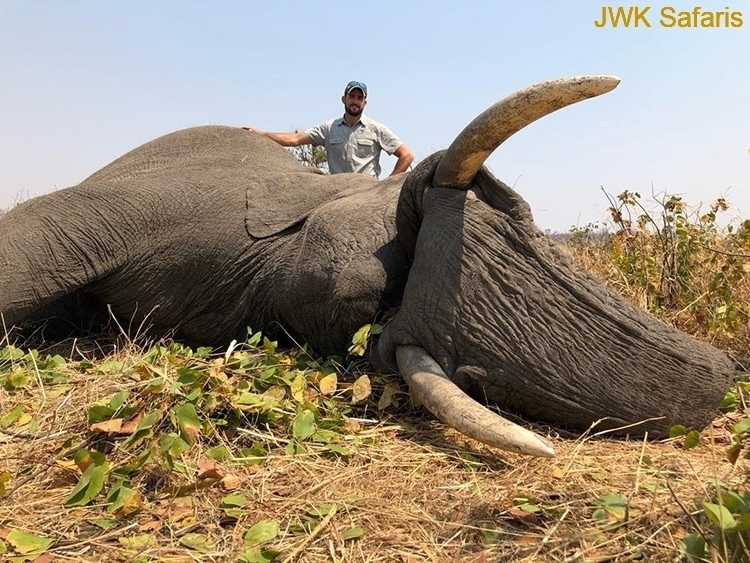 Hunting the world’s largest land mammal, the African Elephant stands more than eleven feet at the shoulder and can weigh in excess seven tons. 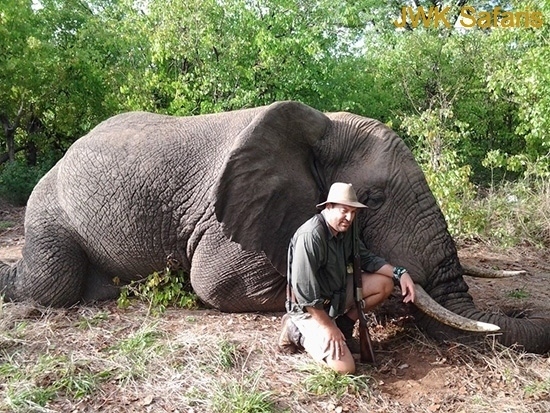 They have a dark grey skin which provides excellent camouflage in the dense vegetation of the African bushveld. 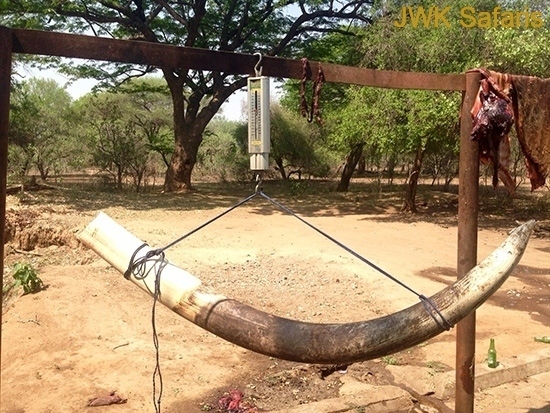 Their eyesight is relatively poor; however, their hearing is very good and they have a keen sense of smell. 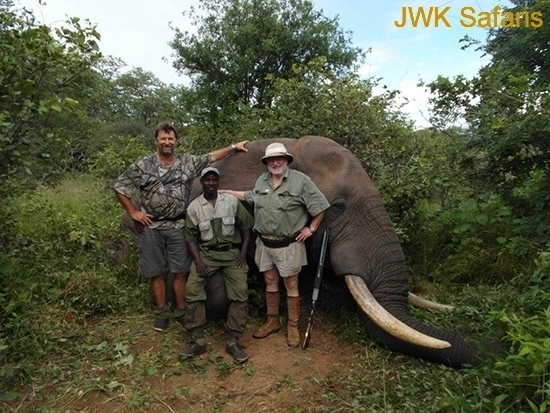 They have six sets of teeth in their lifetime and when the last set of teeth wear out, they slowly die of starvation. 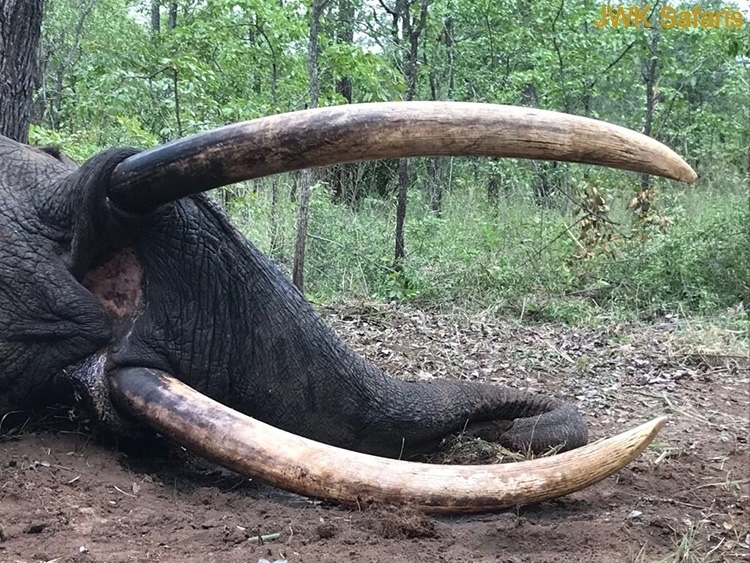 Old tuskers who are approaching death can often be found in dense riverine habitat where they can source soft, easily digestible and succulent plants. 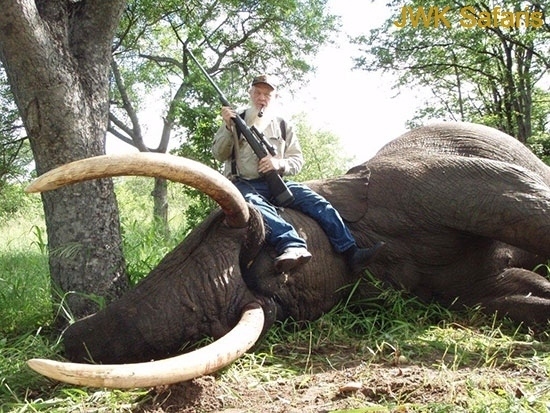 Thus, depending on his diet, has lifespan is somewhere between 50 and 70 years. 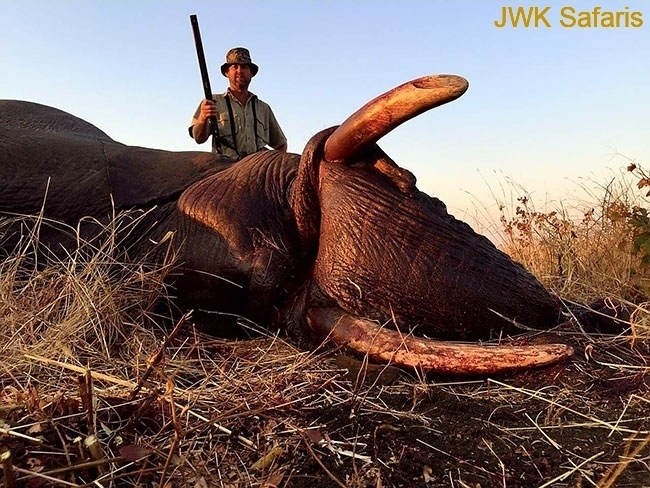 Bulls are usually found on their own or in small bachelor herds and only occasionally with a herd of cows. 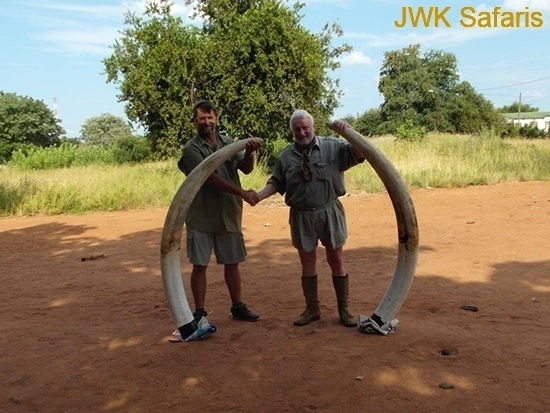 Usually by tracking on foot following fresh spoor. 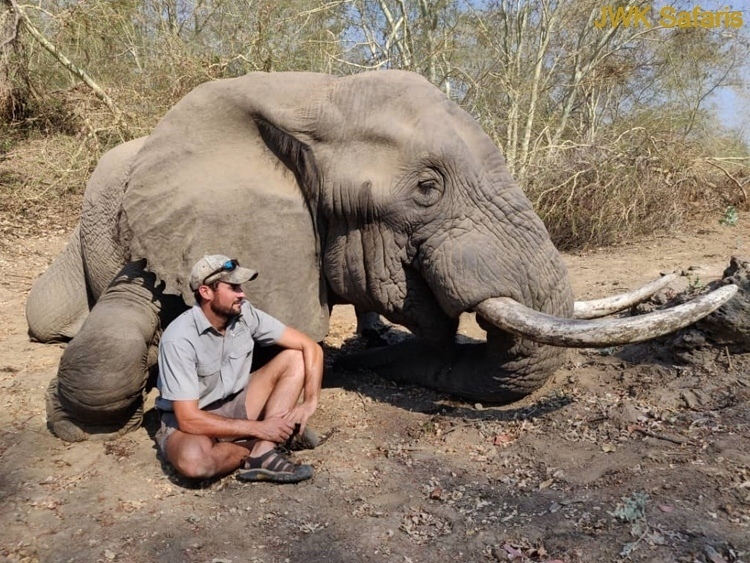 Walks after elephants can often be very long drawn out affairs. 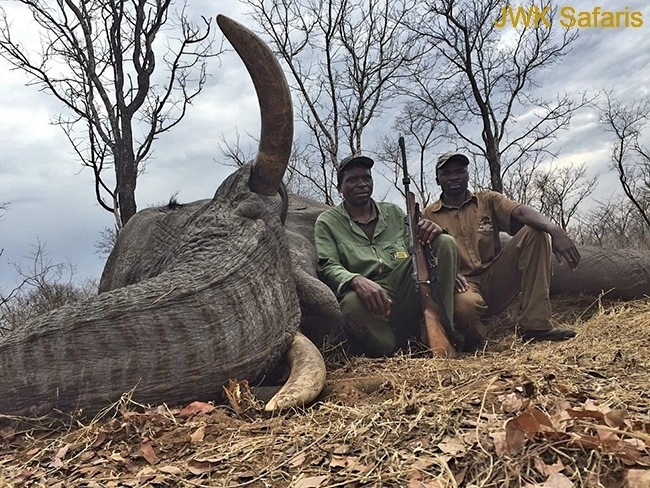 The old bulls are the very best animals to take. 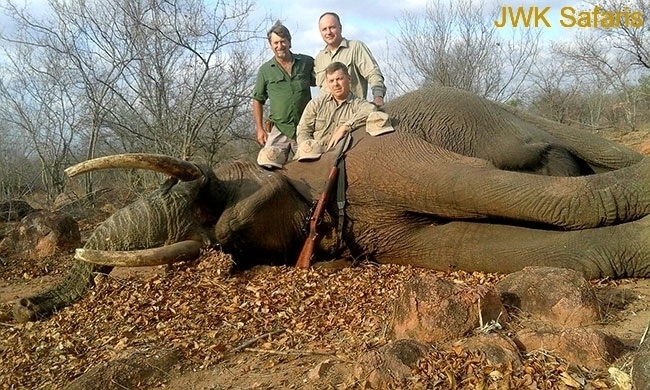 They are past breeding age and will have already passed on their genes. 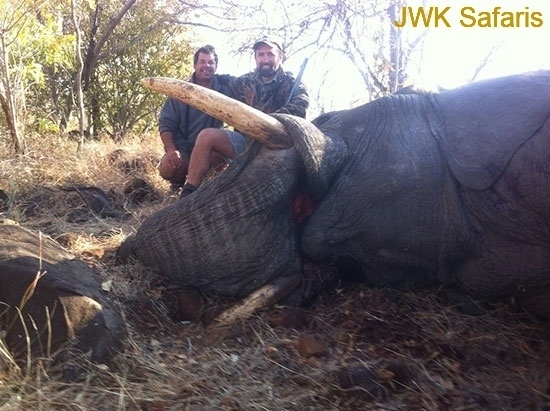 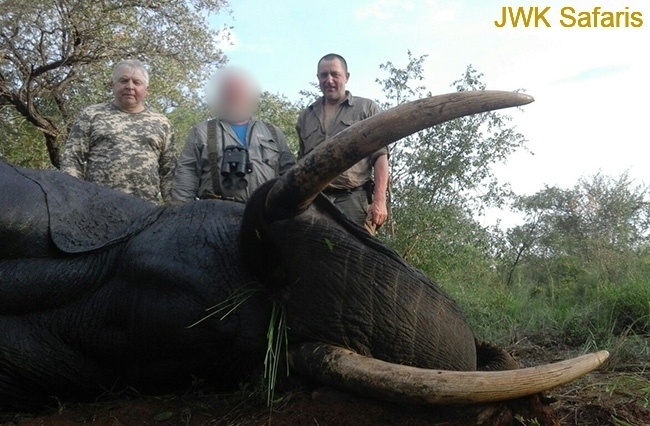 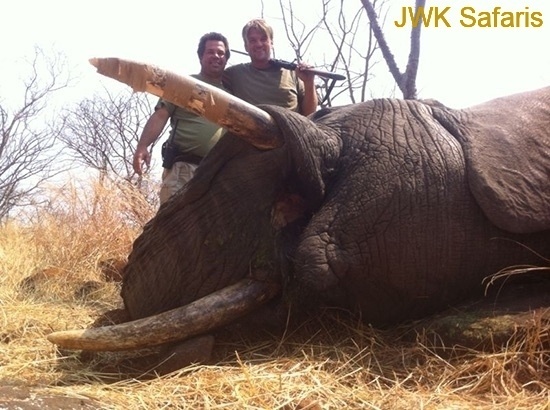 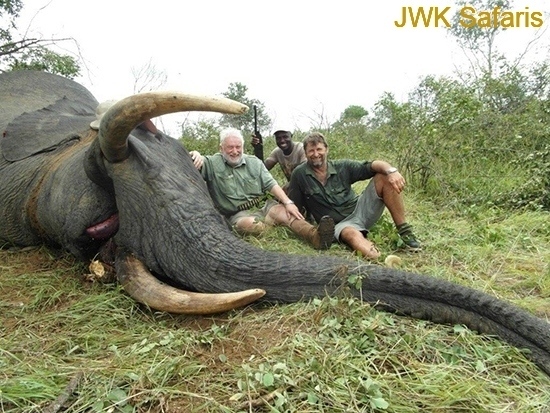 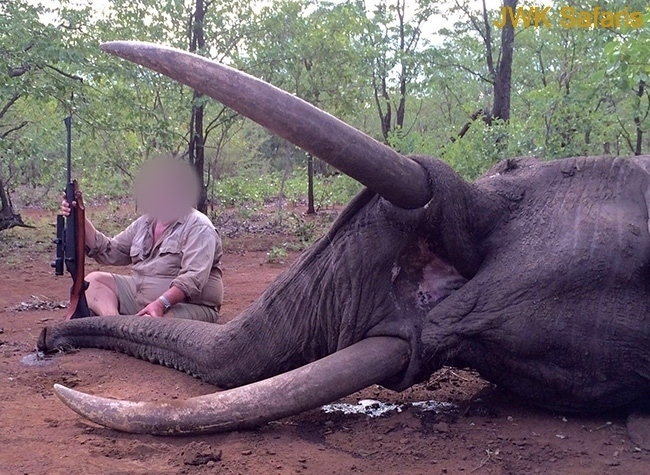 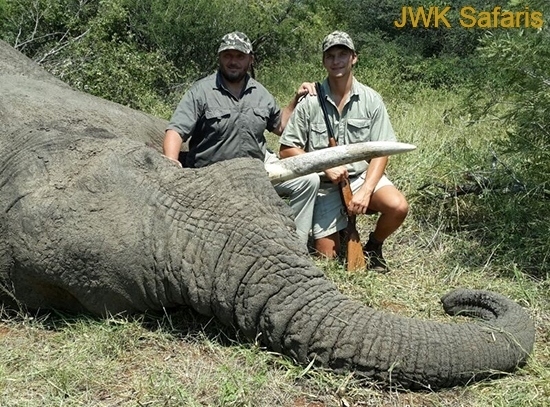 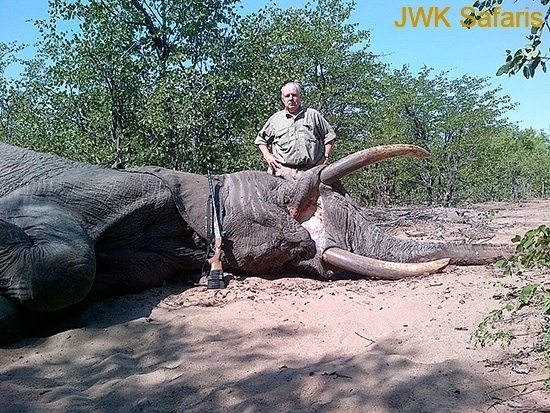 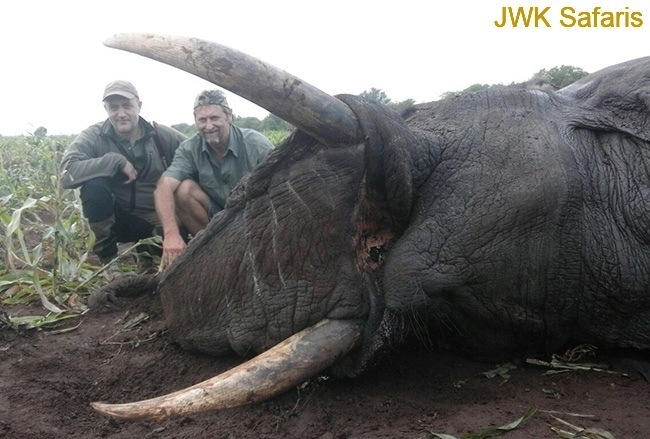 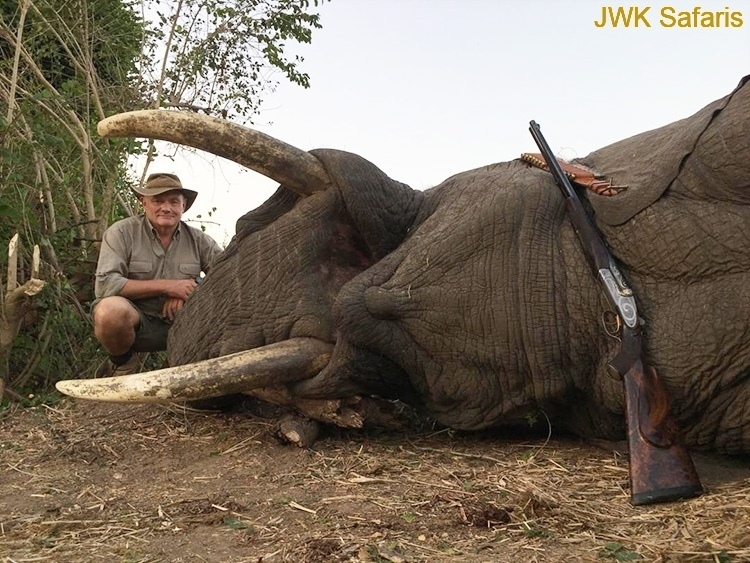 Large calibres and solids, preferably monolithic solid bullets are essential when hunting this species. 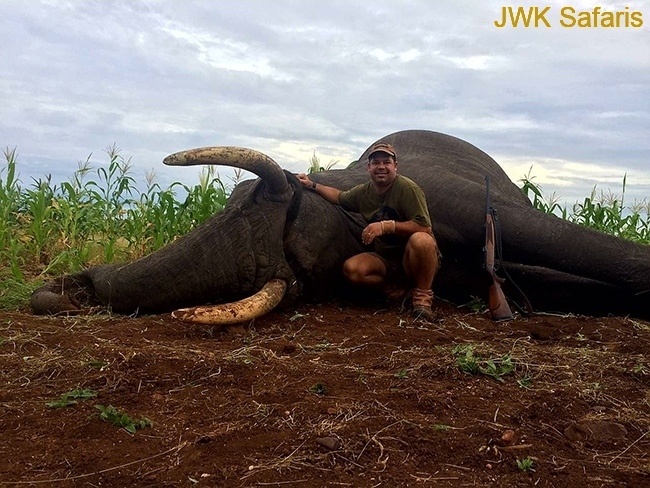 While the .375 is the legal minimum caliber, there will be no room for error in your shot placement if it is your weapon of choice. 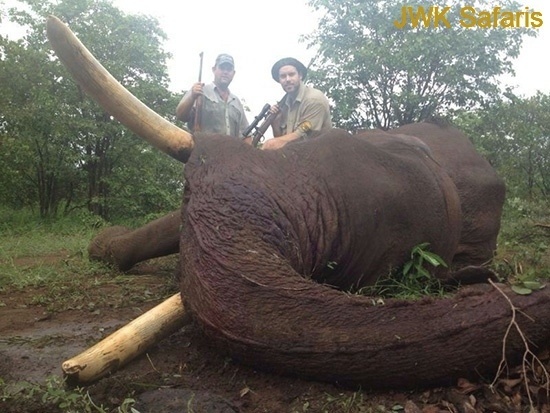 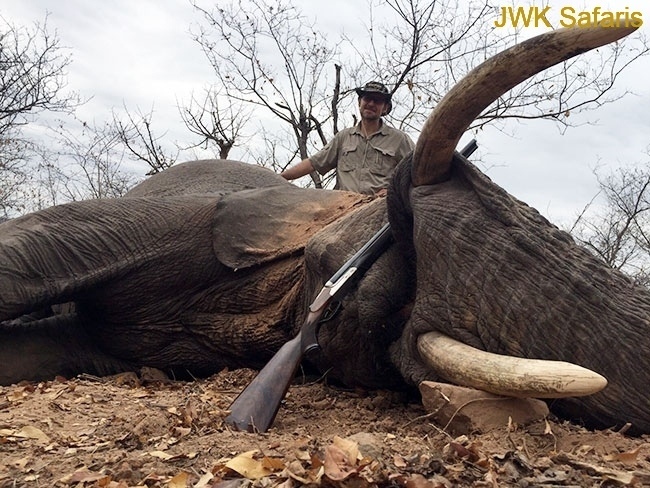 Hunt this ‘big fellow’ with the largest rifle you can shoot well. 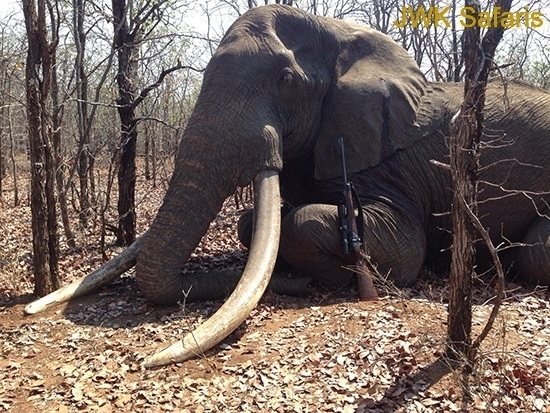 40 and even .50 caliber rifles with 400 to 500 grain solid bullets would definitely be a good choice. 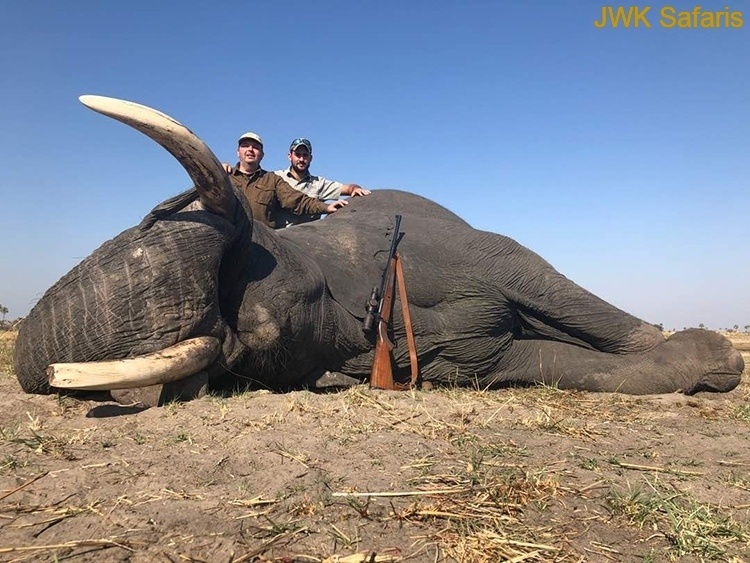 A fifty-yard shot might be considered a long shot on the elephant, as most are taken at between 20 and 30 yards. 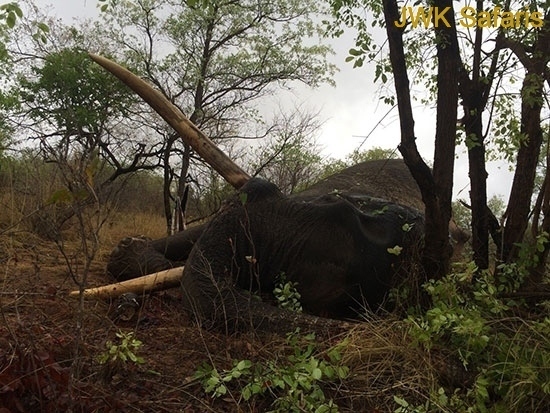 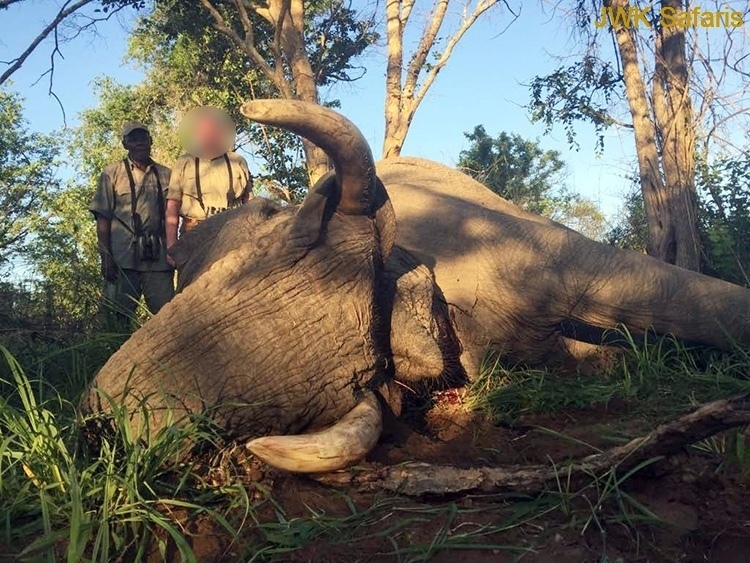 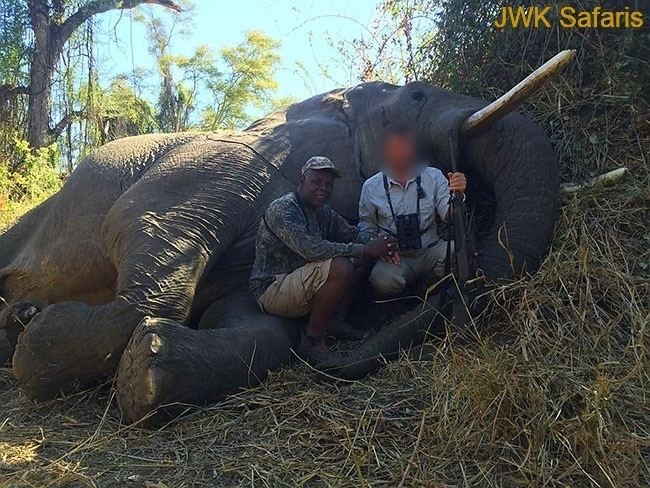 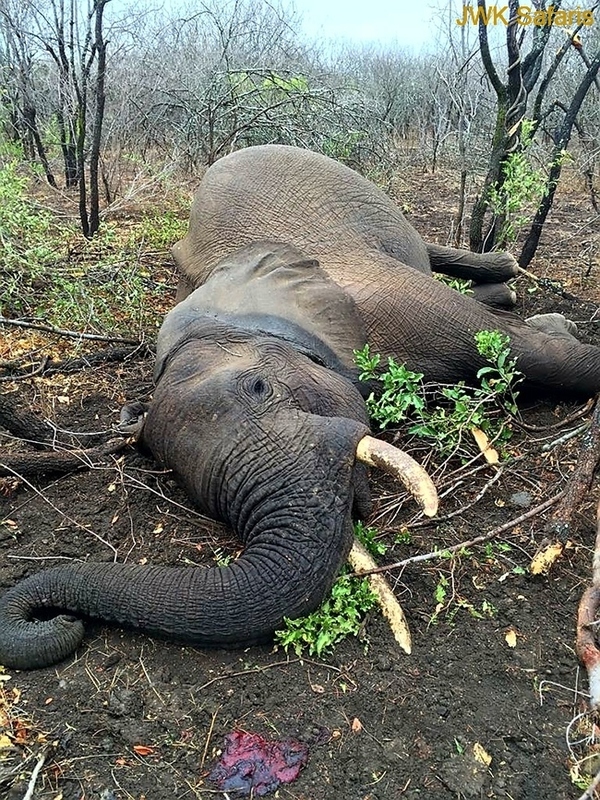 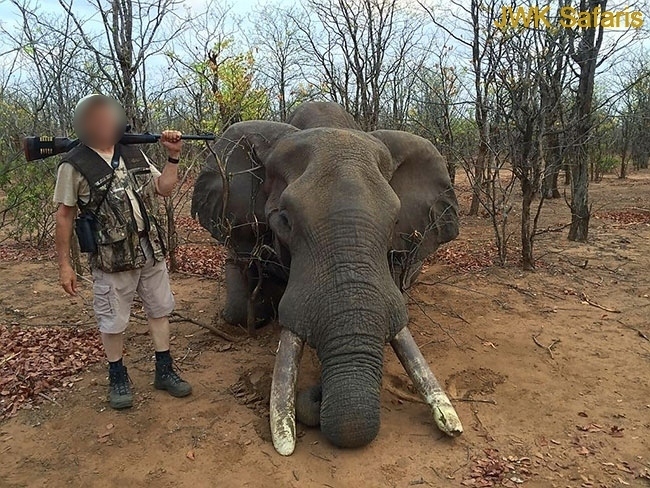 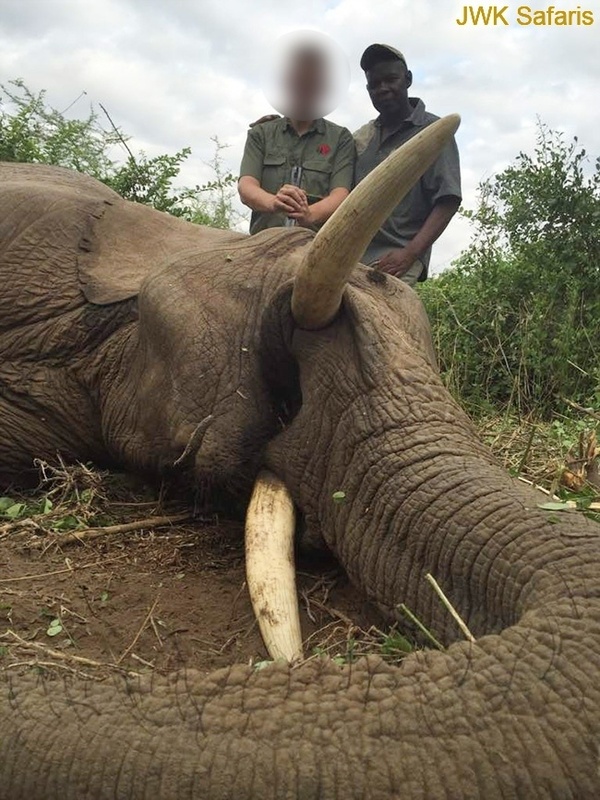 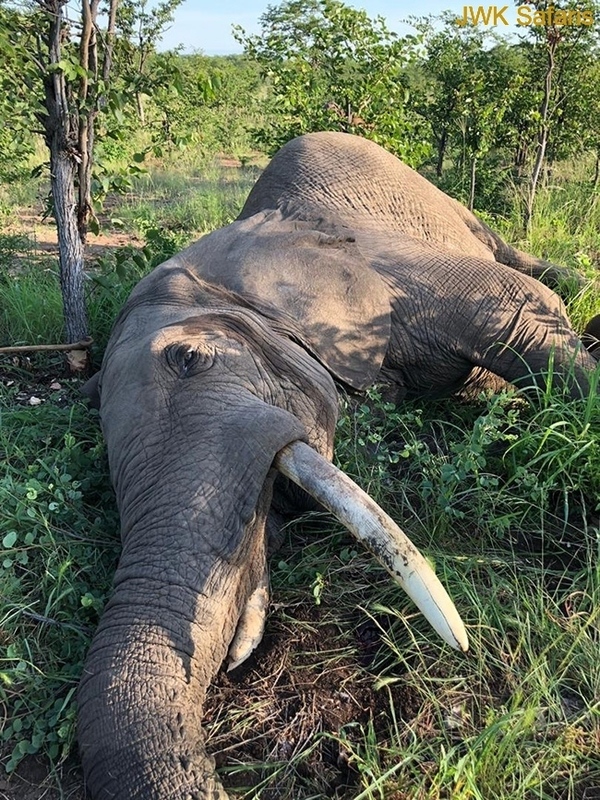 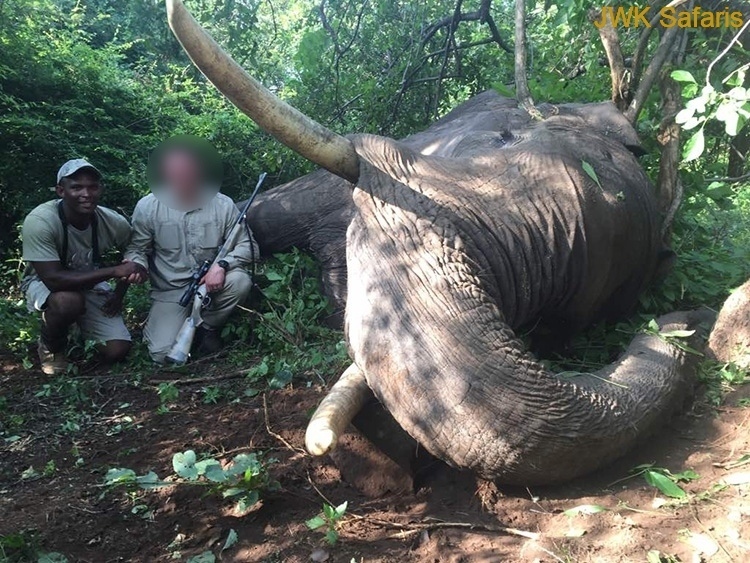 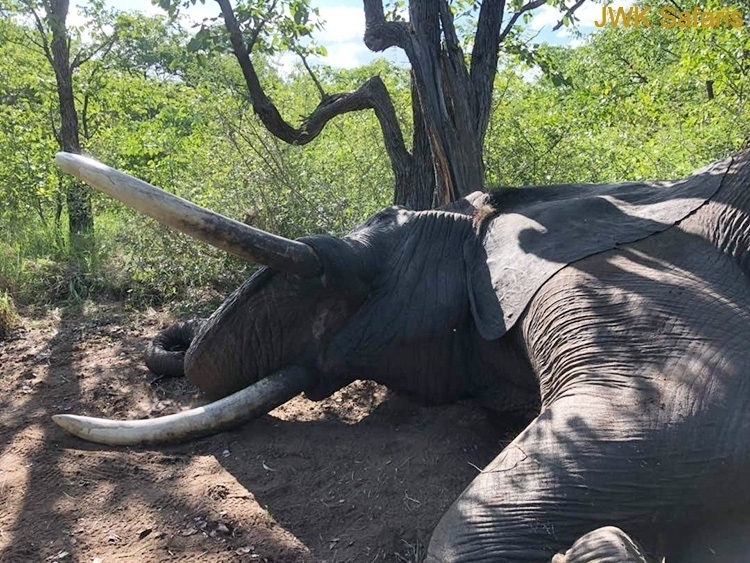 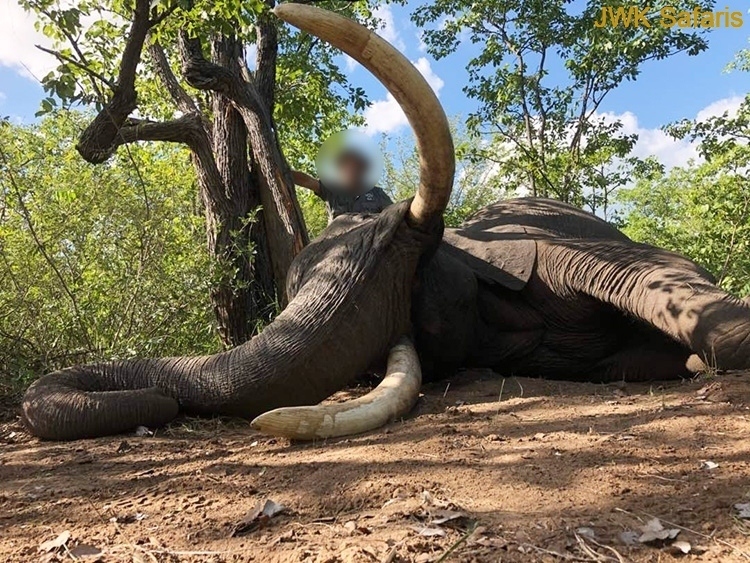 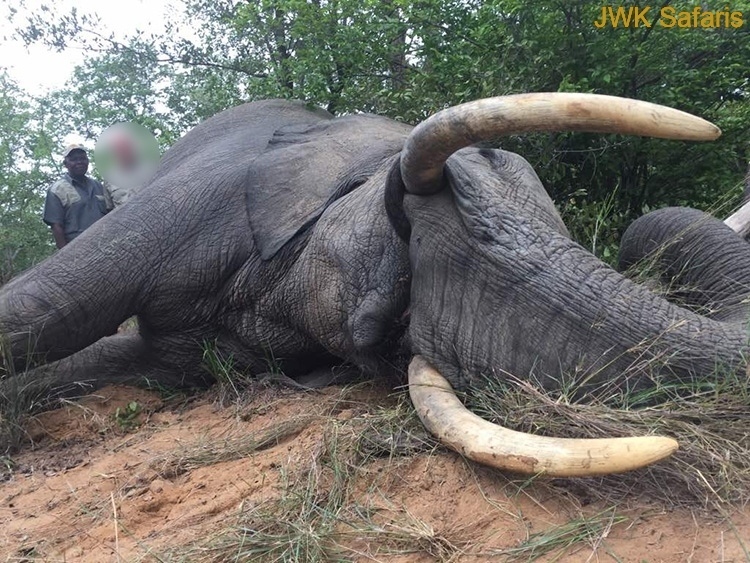 Contrary to the opinion of some, the elephant is not endangered and in fact several countries of Southern Africa have been forced to institute culling operations to keep their numbers in balance. 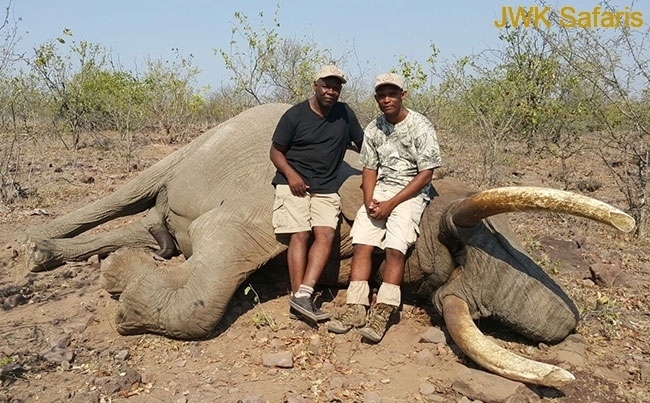 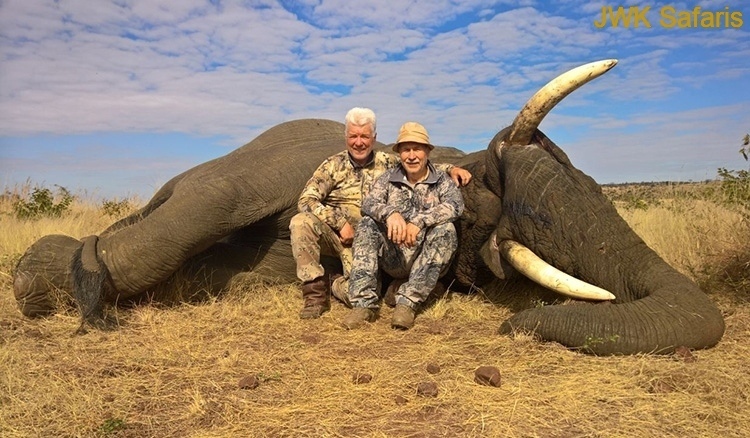 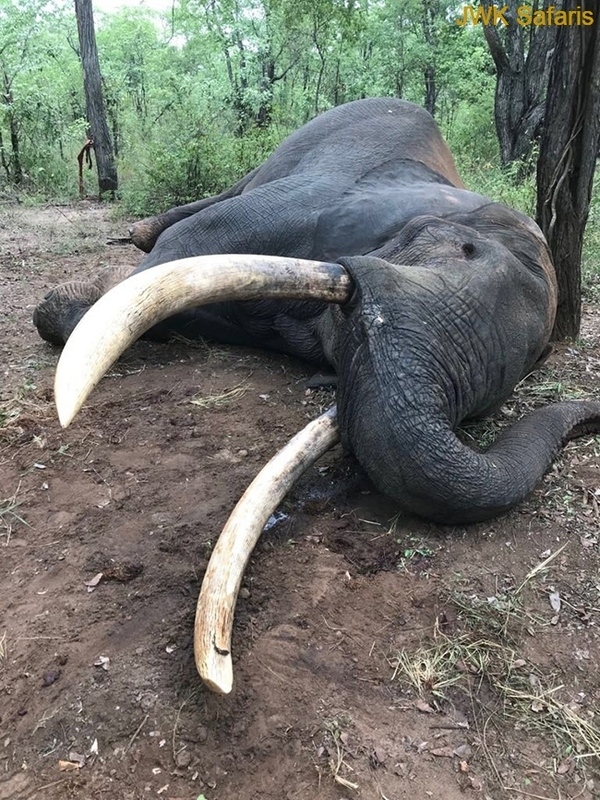 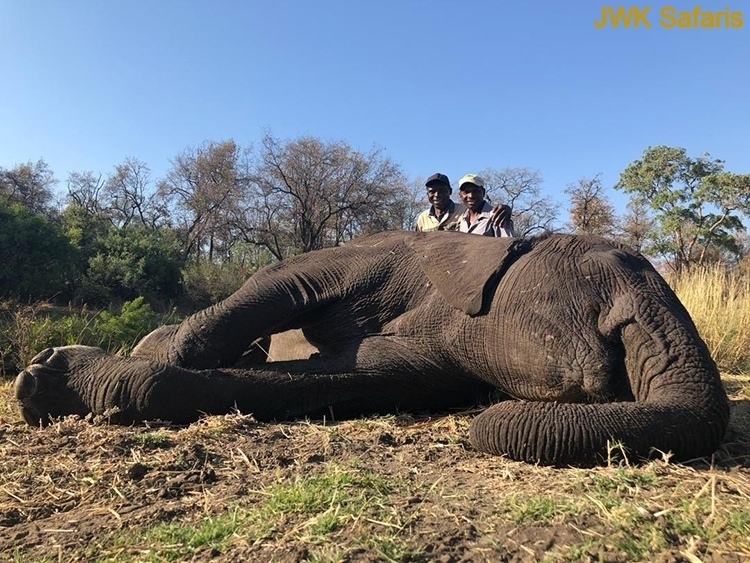 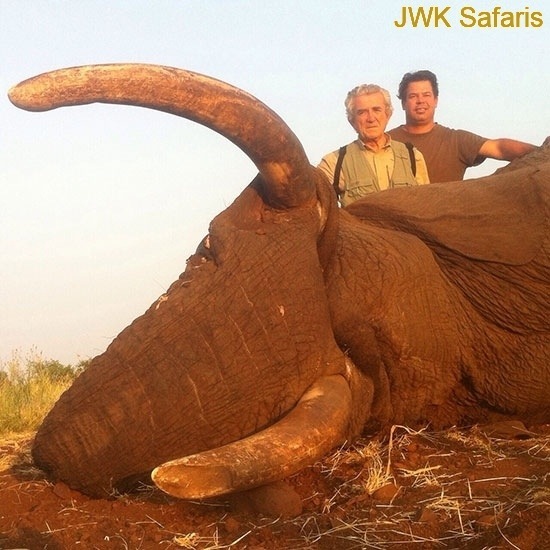 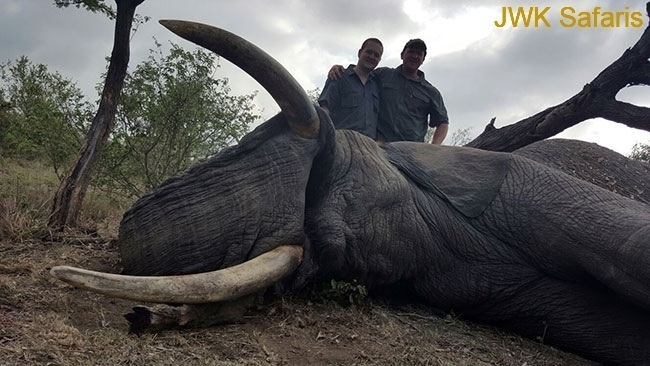 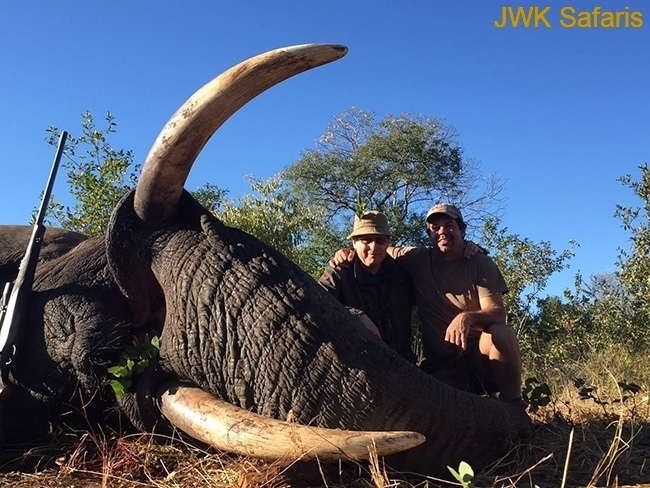 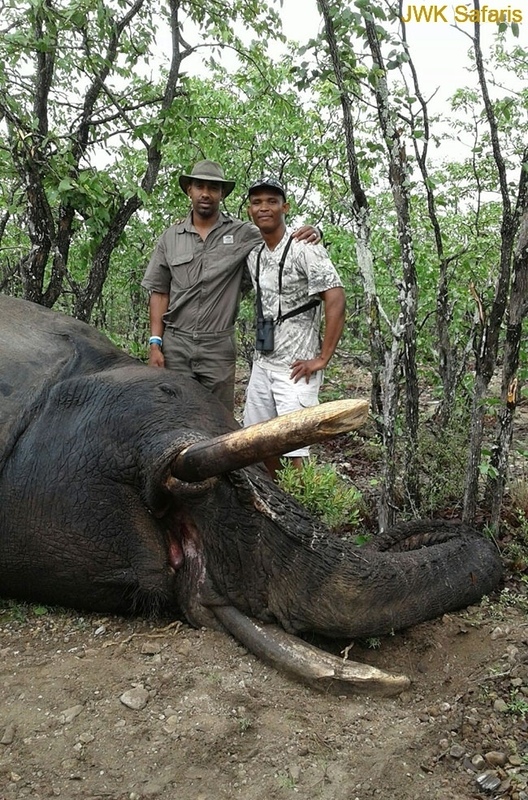 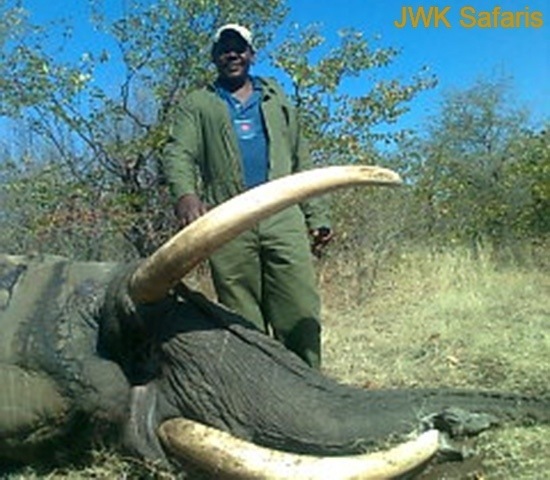 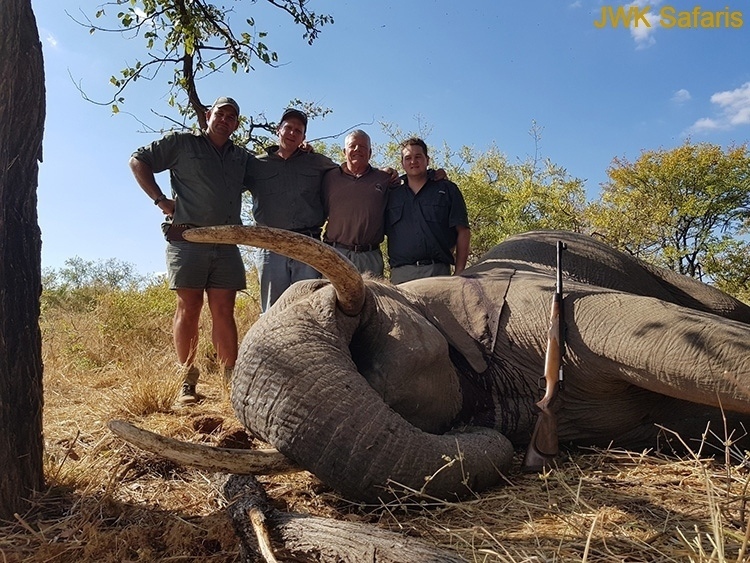 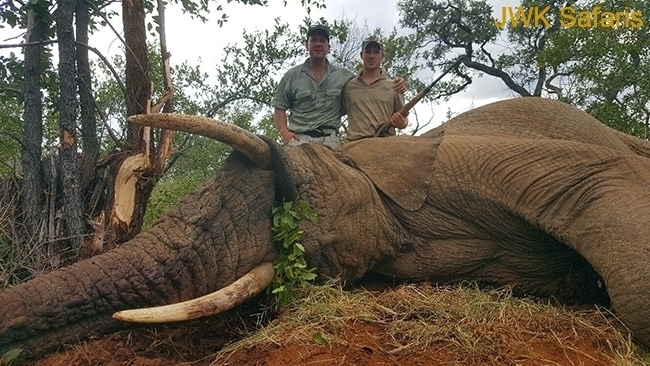 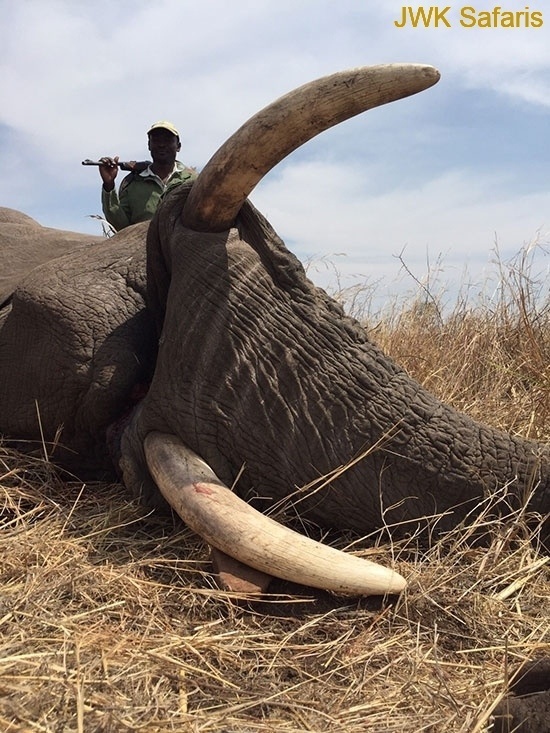 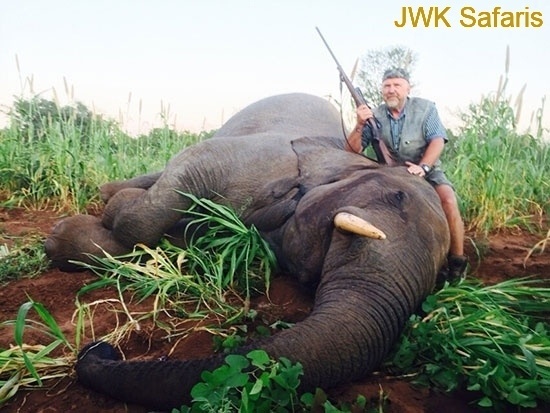 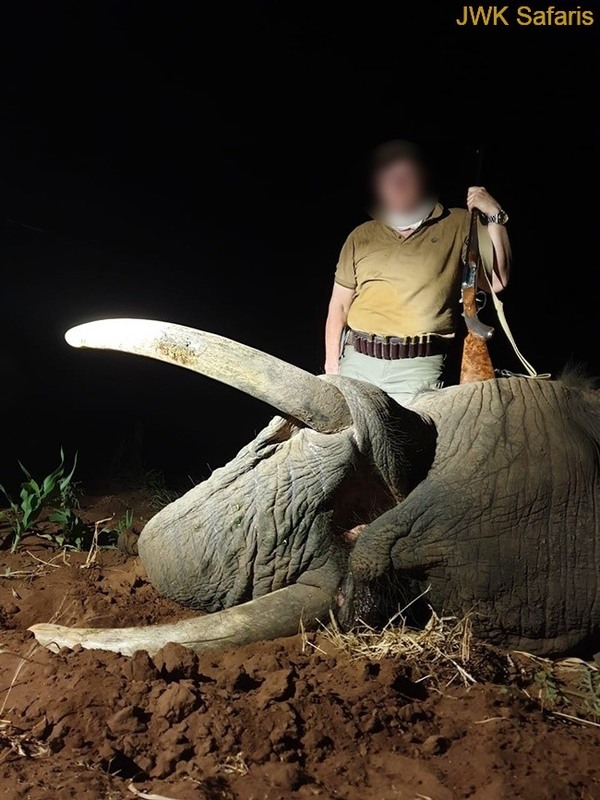 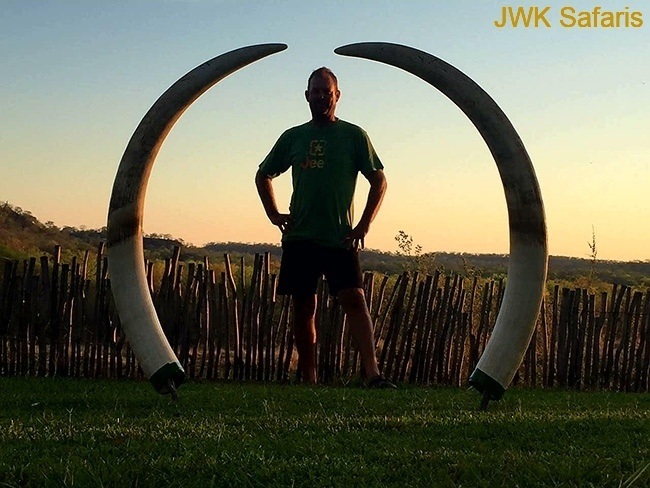 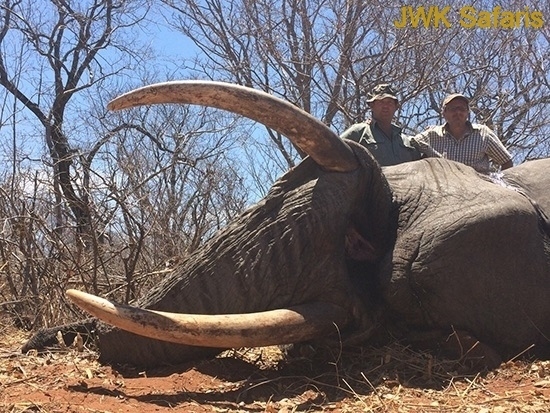 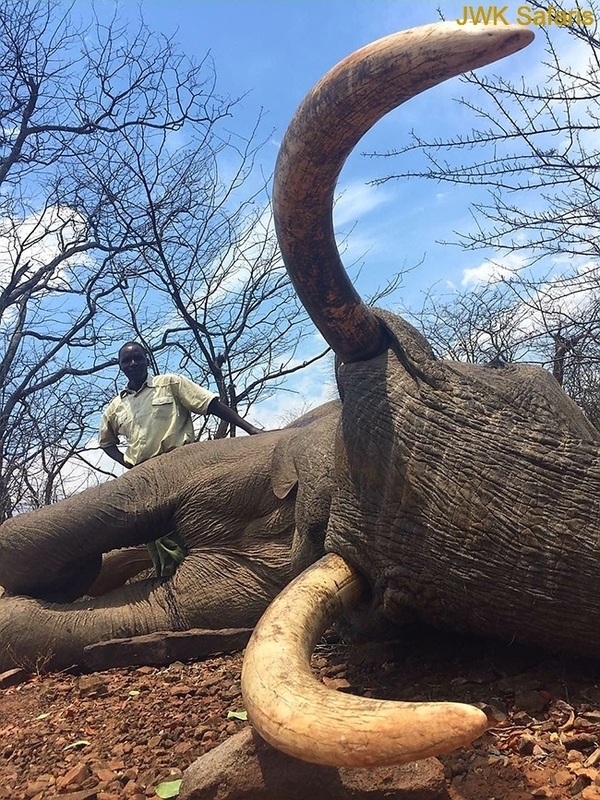 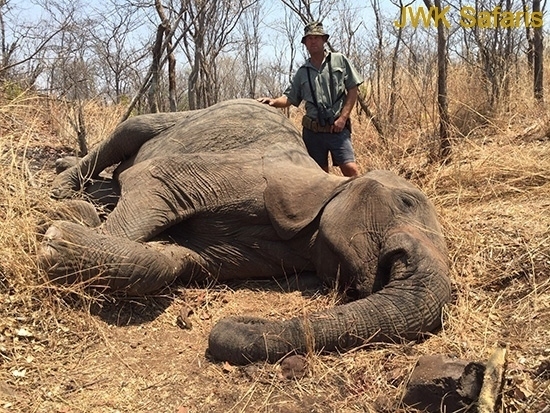 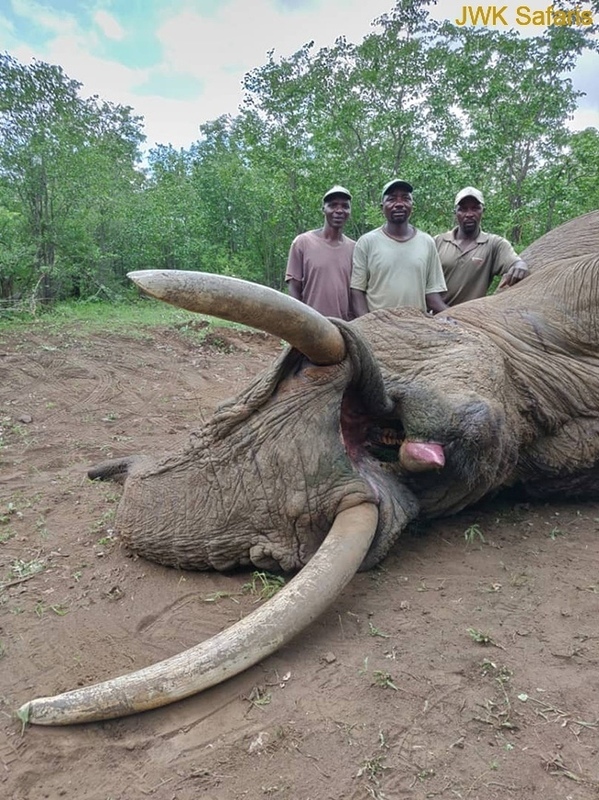 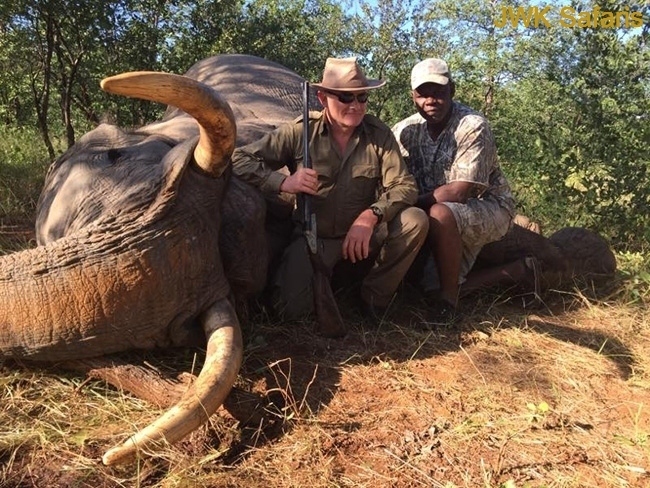 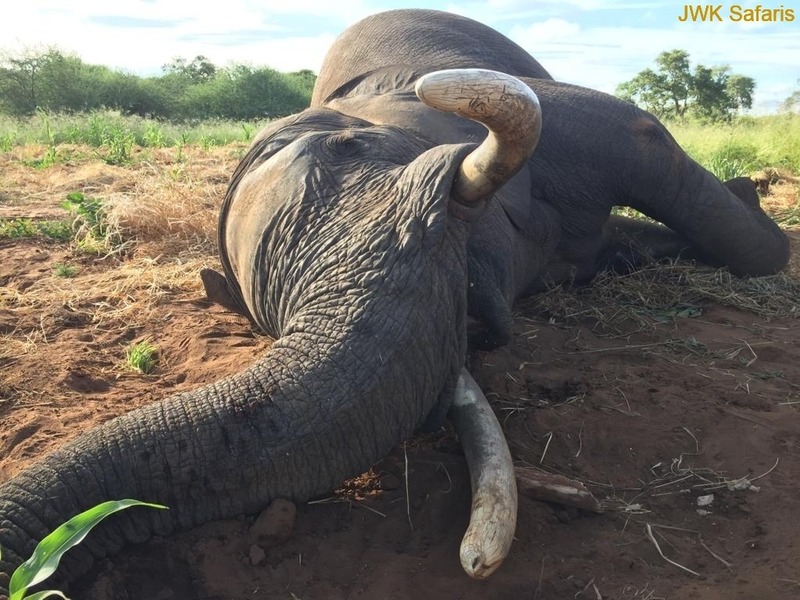 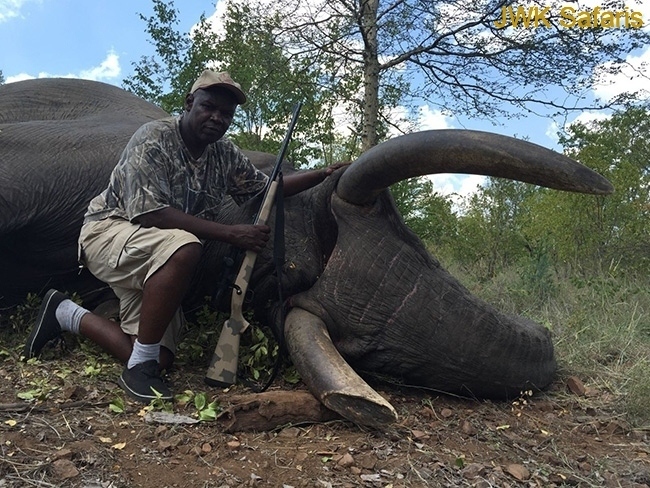 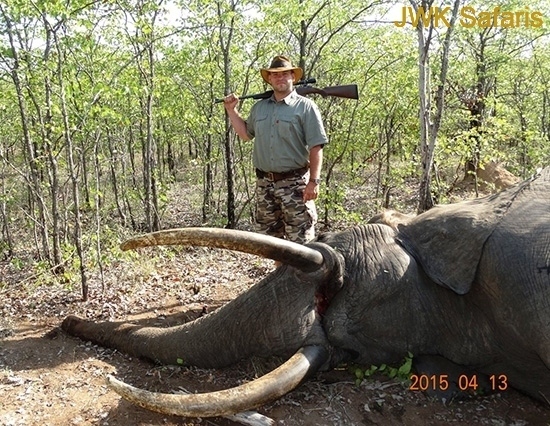 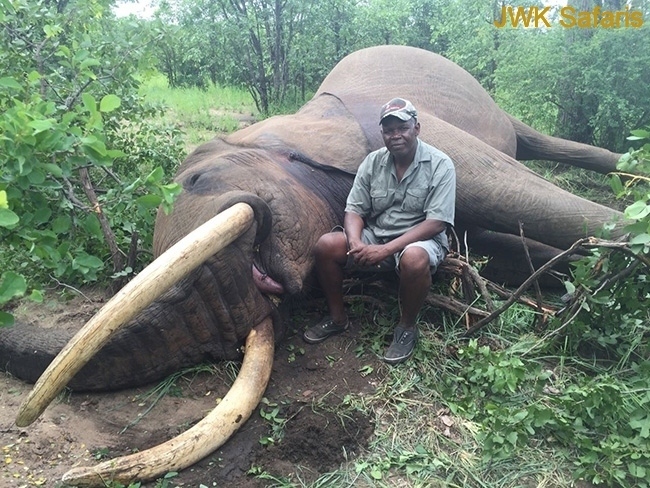 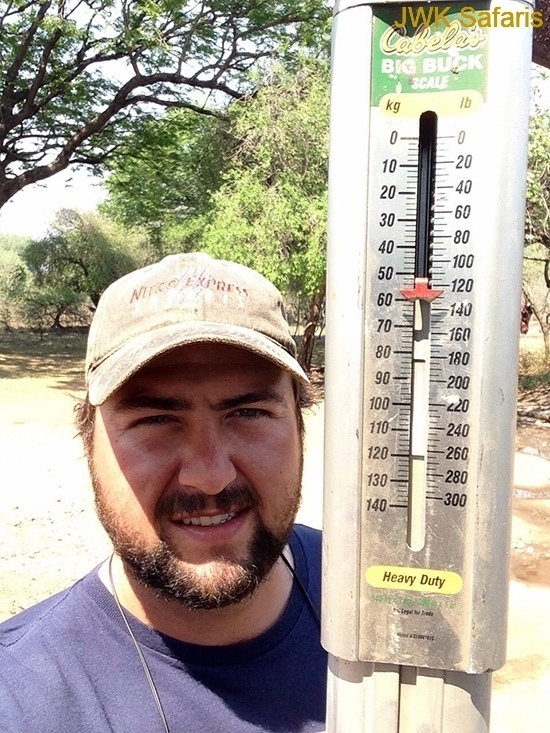 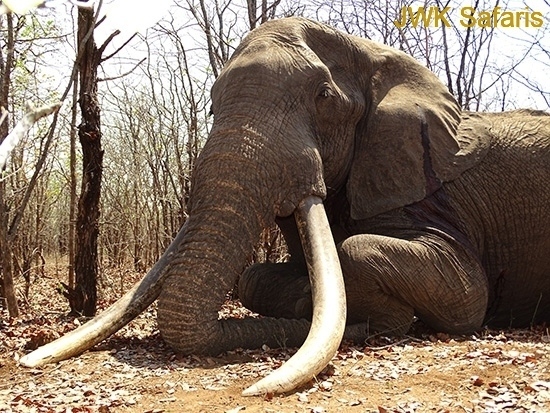 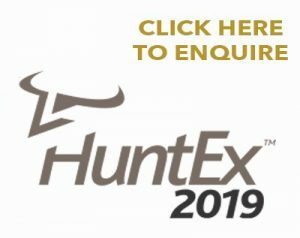 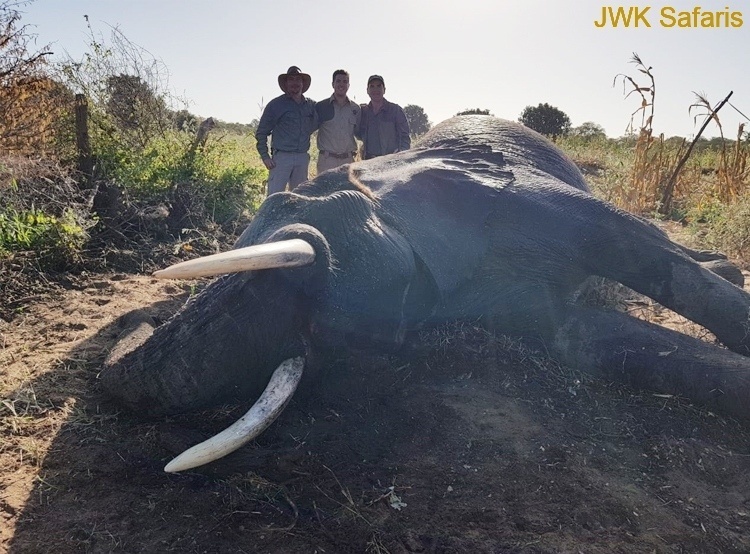 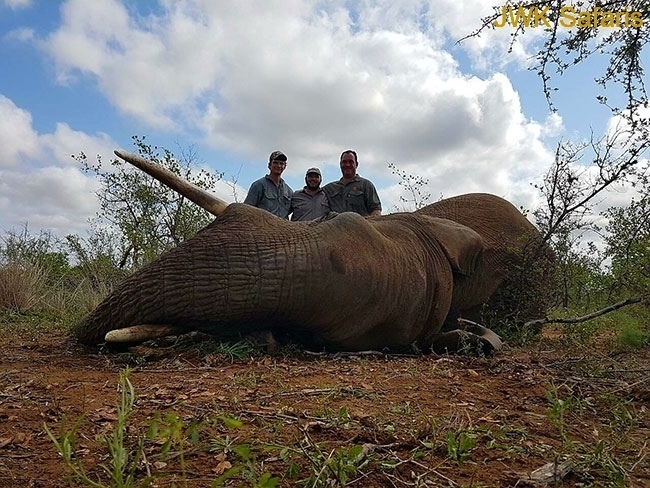 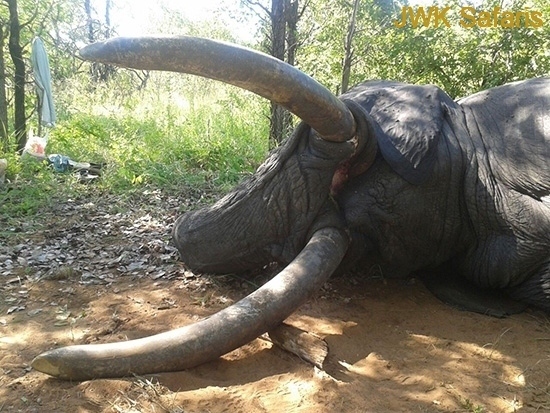 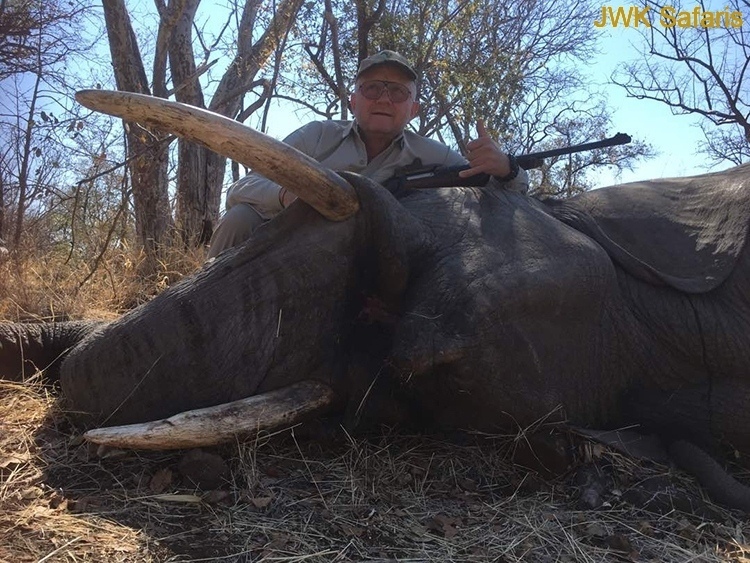 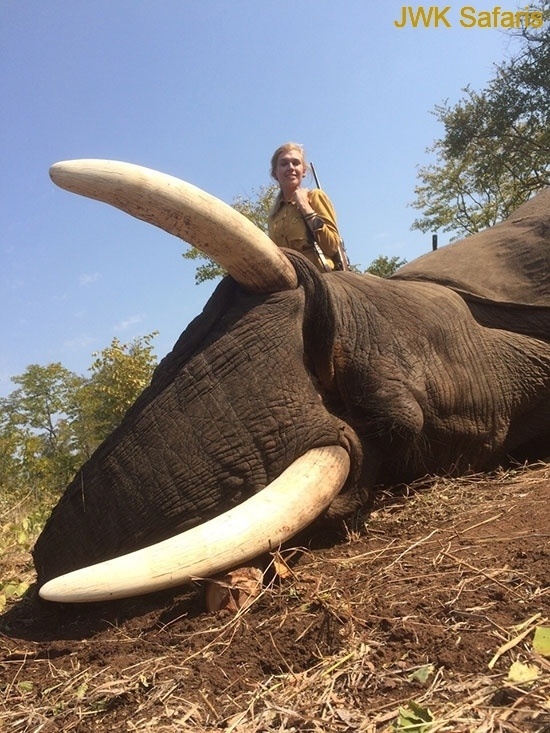 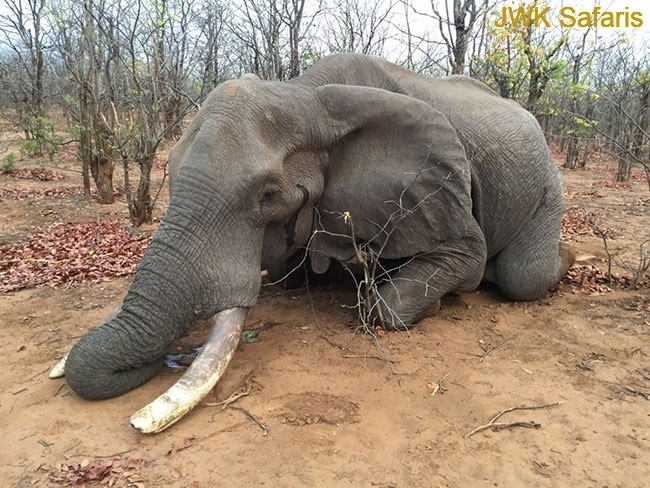 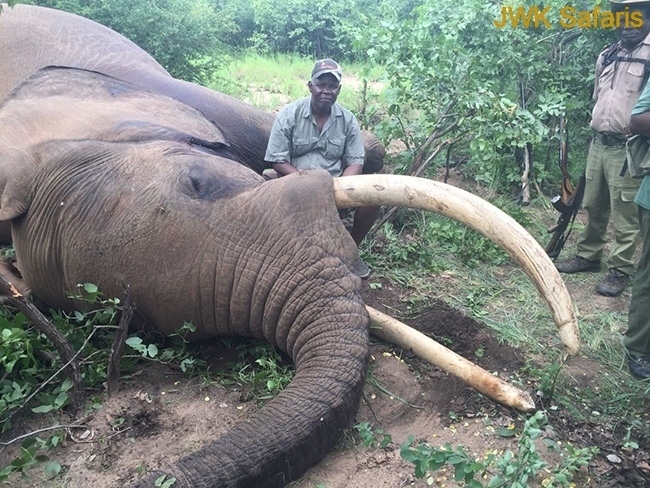 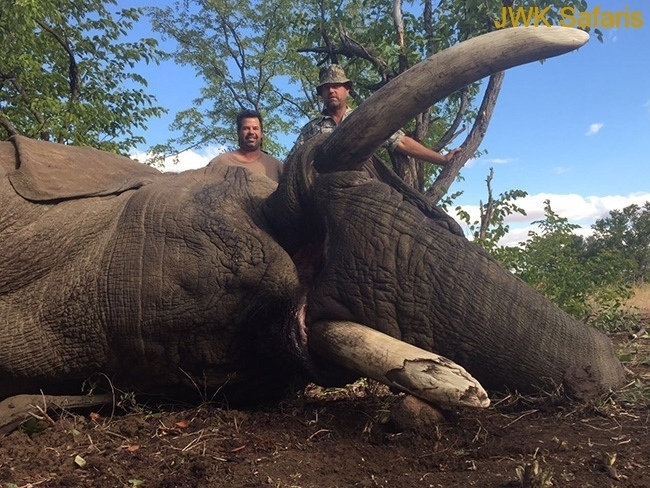 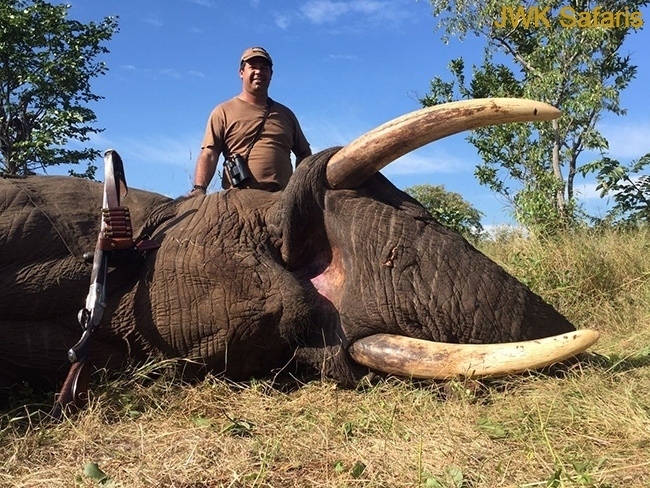 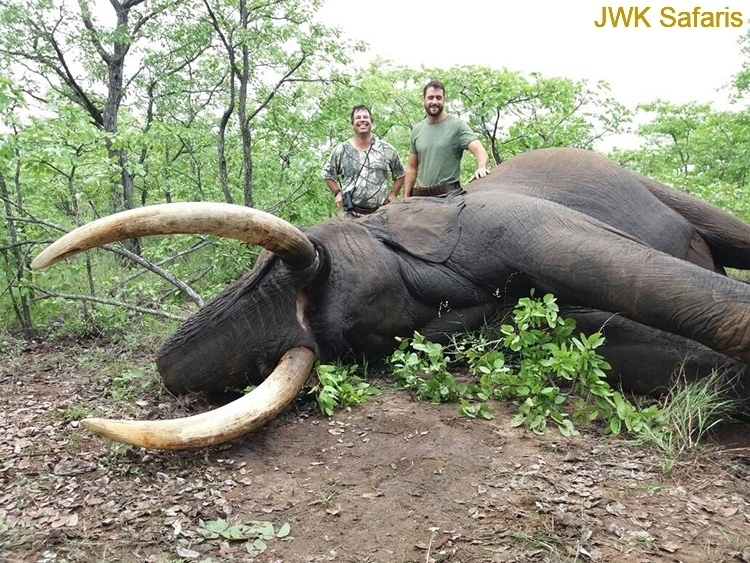 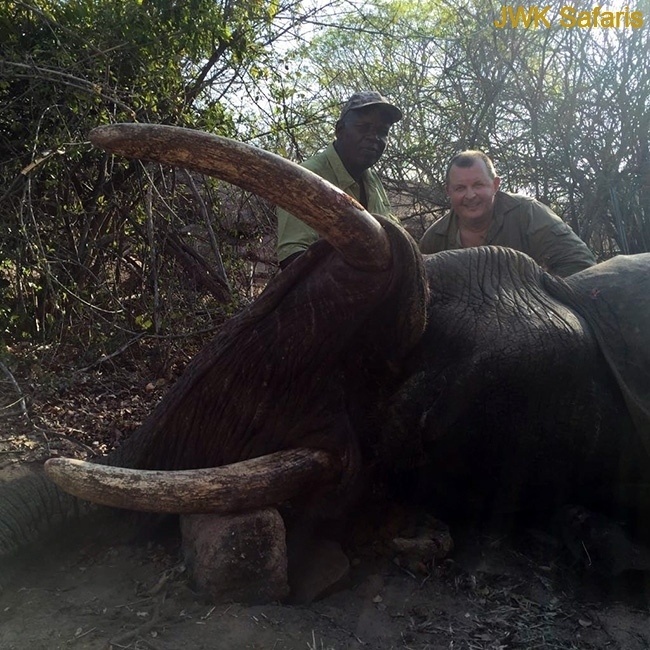 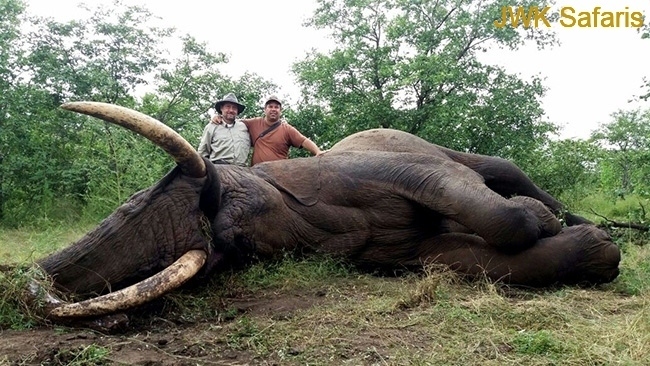 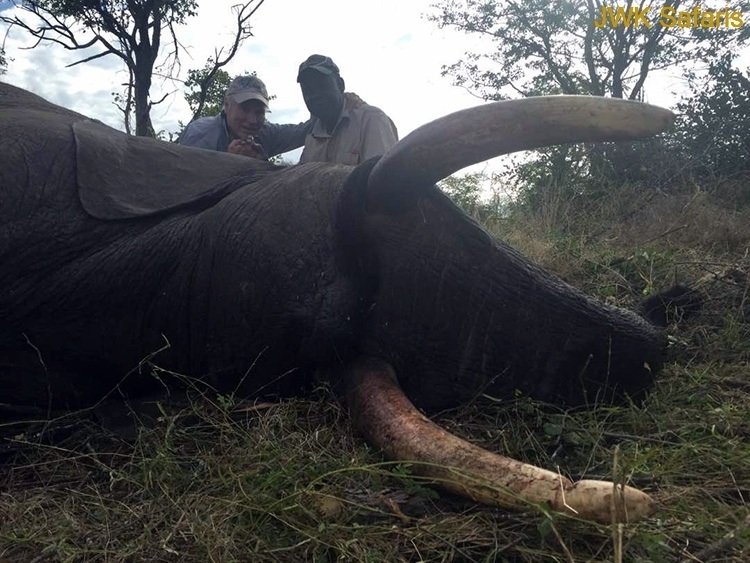 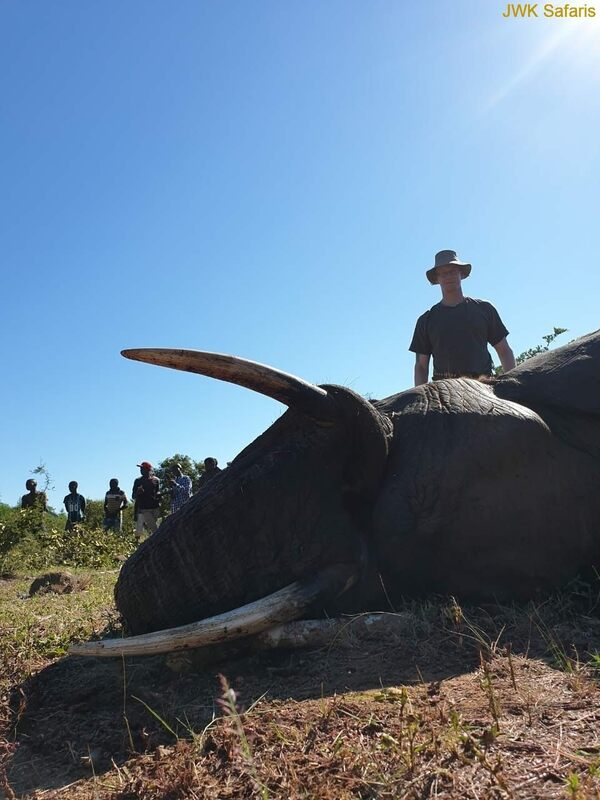 Found all over Southern Africa, our Gonarezhou Safari Area concession in Zimbabwe has produced trophies up to 122lb and hunting elephant between 60-90lb can be a realistic expectation.